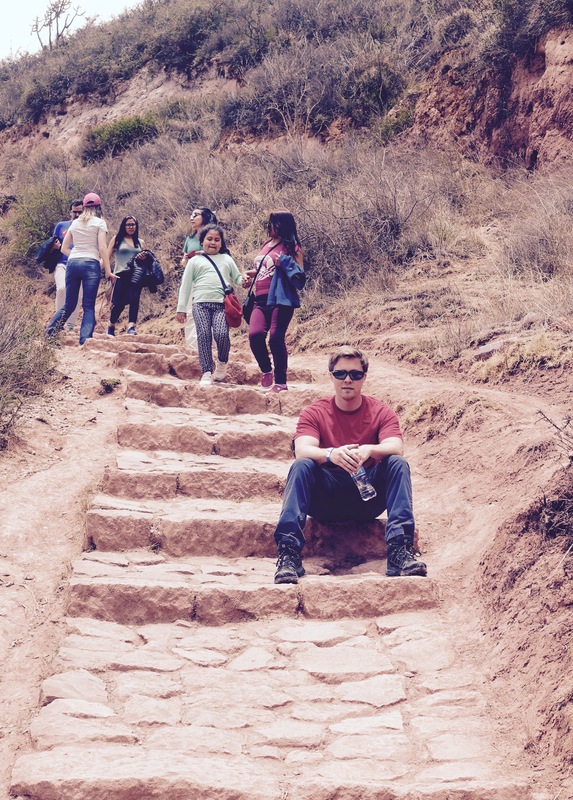 Today, Tom and I headed out on a half-day tour around the town of Maras located in the Sacred Valley. 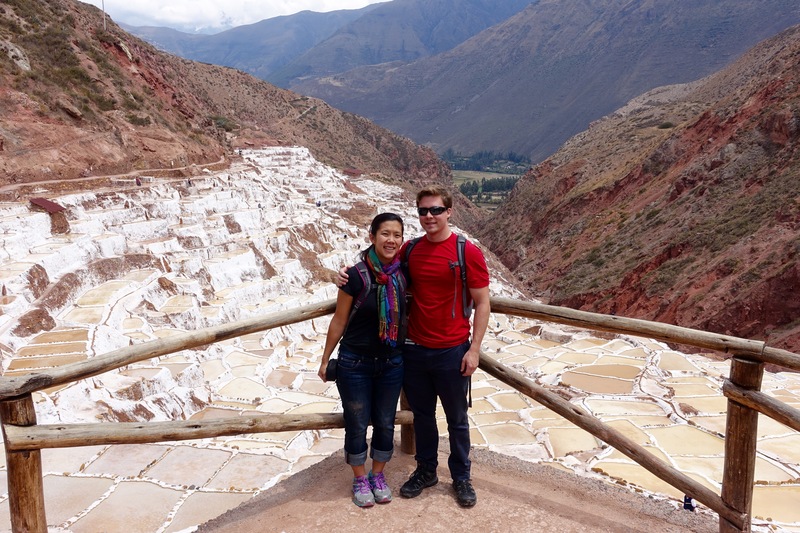 Maras is 40 Km (25 Miles) north of Cusco and it took roughly 1-hr to get there since we had to weave through cobblestone streets to first work our way out of central Cusco. 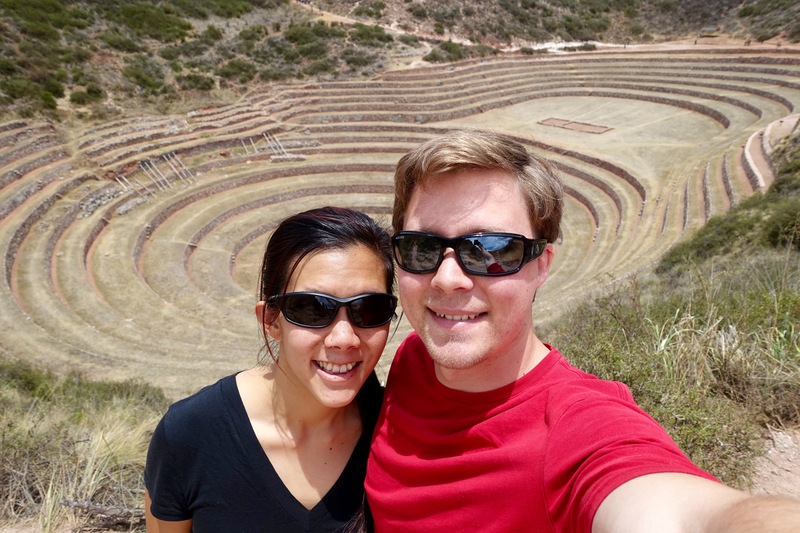 ﻿Our first stop was the Salinas de Maras, salt evaporation ponds that have been used since pre-Incan times. 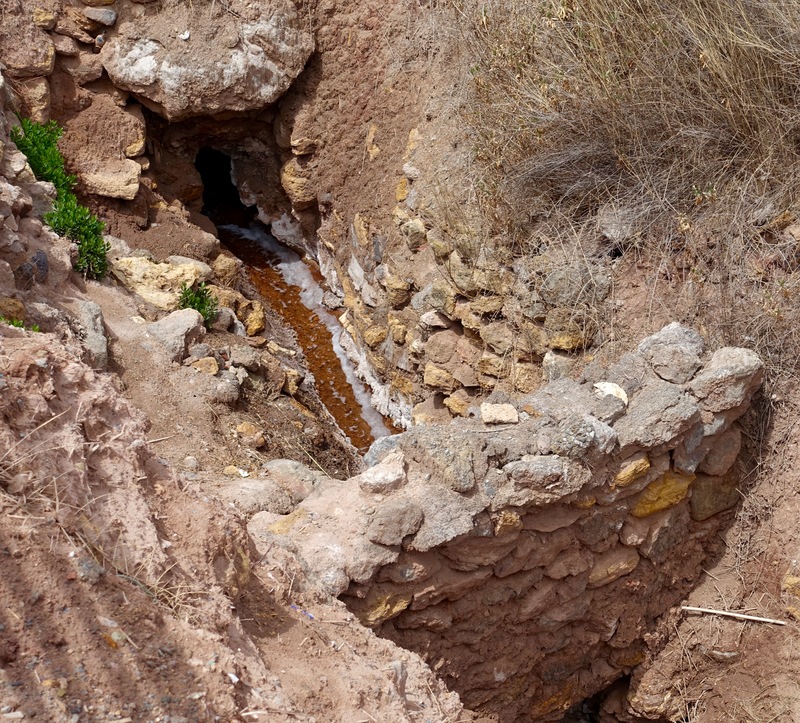 An underground stream with an extremely high salt content emerges as a small spring whose flow is directed through a series of tiny channels. This intricate membrane of channels allows the water to gradually fill hundreds of ancient terraces whose maximum depth rarely exceeds 10 cm (4 in). The sun gradually warms each pond resulting in evaporation that supersaturates the water and allows the salt to precipitate forming crystals of various sizes. Our guide told us that harvesting takes place about once every 30 days and produces about $30 USD of supplemental income for the local family that owns it. A cooperative that was established during the time of the Incas, and remains in place to this day, allows local residents an﻿d pond workers to properly maintain the feeder channels, control the rate of water-entry, and systematically remove the salt deposits, among other things. 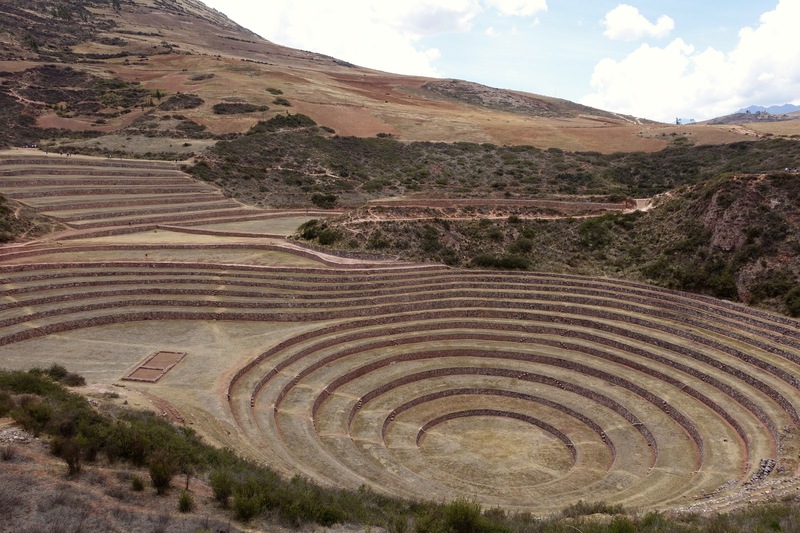 Our second, and last, stop of the tour was to the Maras Moray, round circular depressions located on a high plateau at 3,500 meters (11,500 ft) located just west of Maras. The archeological site had three terraces in total, with the largest and deepest one being 30 meters (98 ft deep). The series of depressions in conjunction with their depth, design, and orientation relative to the sun and wind seem to indicate that this area was a testing ground for agricultural crops. Temperature variances of up to 15 C (27 F) have been recorded between the top and the bottom, resulting in a a wide range of climactic differences. Our guide mentioned that it is at sites such as these that the Incans genetically engineered new types of corn and potatoes resulting in the large diversity of local crops that modern Peru maintains to this day; there are now over 55 varieties of corn and 4,000 varieties of potato that can be found in Peru! Tom looking old-school cool while waiting for me to take pictures. We then headed back to Cusco arriving around 1:30 PM, and relaxed for the rest of the day before rendezvousing with SAS Travel ﻿and our fellow Inca Trail Trekkers for our 7:00 PM pre-trek meeting.